The newly renovated horse barn at Old Homestead Farm is the perfect setting for any special event. This rural yet sophisticated setting boasts 250 year old live oak trees and is nestled on over 100 acres of land. 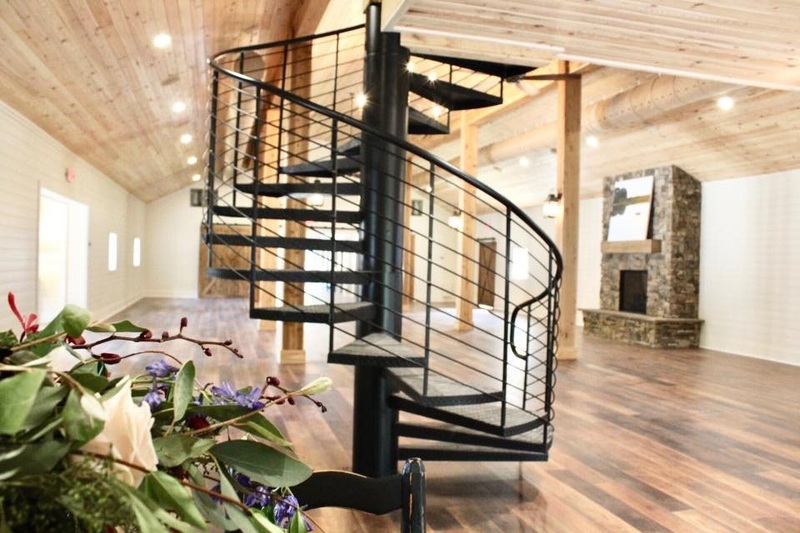 This once functional horse barn has been transformed into a breathtaking 4300 square foot event space complete with a one of a kind spiral staircase that leads to a balcony overlooking the main hall and an elegant yet cozy stone fireplace. This once functioning horse barn has everything you would expect and some unexpected amenities as well. From the moment you enter the gates you will feel the love and see the splendor of Old Homestead Farm which dates back to the 1800’s. Beautifully decorated and fully furnished Bridal suite, includes kitchen, living room, bedroom, bathroom and a relaxing porch which overlooks a paddock to the adjacent functioning horse barn. Special 15x30 Suite specifically designed with the Groom in mind sits alongside a fully stocked fish pond. 15x30 outdoor pavilion with a covered porch, two gas grills and brick fireplace. The Barn is wired for HDMI and speakers are throughout the building.